A B.C. hang-glider pilot who allegedly swallowed the video evidence after a women plunged to her death during a tandem flight on his craft has been granted bail. A B.C. hang-glider pilot who allegedly swallowed the video evidence after a woman plunged to her death from his craft during a flight has been granted bail. Police said they had retrieved the memory card from pilot William Jonathan Orders, 50, who was granted bail Friday on charges of obstruction of justice, but was not immediately released. Orders was not expected to be able to comply with bail conditions until Monday. Those conditions include putting up $5,750 cash surety, not conducting any hang-gliding, and surrendering all passports and secondary citizenship documents. Orders was being held while police used daily X-rays to track the progress of the card though his body, but on Friday afternoon his lawyer told reporters the police now have the card. Witnesses said that hang-gliding passenger Lenami Godinez-Avila, 27, fell 300 metres to her death about 30 seconds after launching off Mount Woodside in the Fraser Valley east of Vancouver on a tandem flight that Orders was piloting. Police believe the card may contain a video recording of the flight, which Orders normally sold to customers as part of his commercial hang-gliding business. Experts believe any video recordings on the card will likely be recoverable when it is finally retrieved. Noam Kenig, who runs the company Restoring Data Inc. that specializes in retrieving computer data, says the actual chip containing the data is about the size of a fingernail and is protected by the plastic casing of the memory card. "If this chip is intact — it has no crack or no pieces or anything like that — that means that the data is still there. It's still recoverable and you still can get the data from it." Memory cards are "solid state," meaning that unlike a relatively delicate hard drive, they have no mechanical parts and so are notoriously durable. Memory cards have survived being dunked in coffee and Gatorade, put through a washing machine, frozen in a block of ice, boiled, run over by a skateboard and smothered in peanut butter — with no effect on the data. At the extreme end, files on several camera cards that were smashed with a sledgehammer or nailed to a tree were still recoverable. Compact flash cards have also reportedly endured the explosive demolition of a Missouri bridge and even the destruction of the World Trade Center on 9/11. Kenig said stomach acid might damage the plastic casing around the chip, but the information itself should be fine. "In this case it actually could be plug and play. You can just take it from the stomach, plug it into a card reader and it should be okay." Kenig, who said he's trained FBI and U.S. Secret Service members, said memory cards are surprisingly robust. He said he has pulled data from a camera damaged by fire and a fireman's axe, and from a camera that spent time at the bottom of the Caribbean Sea. But he admits he has never pulled data from one that has passed through a human's digestive system. "The only thing close to that — it was a dog chewing a memory card, and it was still good," he said. As a paraglider himself, says he will be waiting with interest to see how this case turns out. 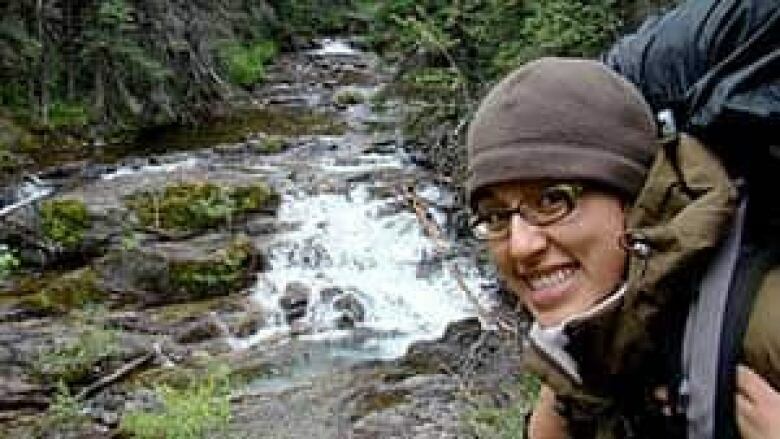 Meanwhile, friends of Godinez-Avila, who came to Canada from Mexico to study at Simon Fraser University, have set up a memorial scholarship fund in her honour at the university where she earned a BA in 2006. "The scholarship is to be for a female international student who has demonstrated passion for sustainability and volunteerism within the Mexican-Canadian community. The recipient will exemplify the values of hard work and commitment to community that Lenami held so dear," said in a statement on the website to encourage donations to the scholarship. Friend Katherine Louman-Gardiner said Godinez-Avila always wanted to establish such a scholarship herself. "Lenami was a dear friend, and a compassionate, caring person, and one of her goals, one of her dreams, while she was with us, was to set up a scholarship fund similar to this one, and when we heard of her passing, we decided this was the best way we could think of to honour her name and her legacy," she said.